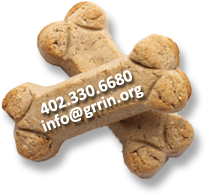 When GRRIN rescued Farley from a puppy mill, they brought home a terrified, skittish boy. 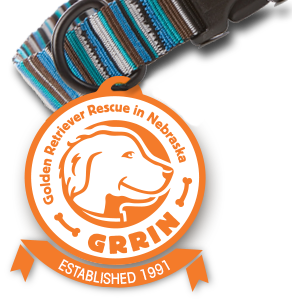 When Farley rescued Gary, Gary had lost his beloved wife who had served for many years as a GRRIN volunteer. Gary was asked to visit Farley at the foster home in hopes that they might be a match for each other. When Gary arrived at the foster home, Farley did something remarkable and totally out of character. Farley came out of hiding and did a “sit” right next to Gary’s leg giving voice that he had just found his new owner! In the coming months, Farley emerged from his shell and left all traces of fear and low confidence behind. Farley had strength of spirit and calmness that together made him bring peacefulness and love to every person he met. 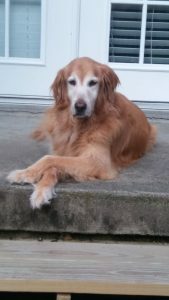 Farley thrived in the calm and peaceful home and likewise, Gary thrived in the soulful love that Farley gave so freely. Farley never missed a meal, a morning walk, a snowfall, vanilla ice cream or a long afternoon nap! Gary and Farley later adopted another GRRIN rescue, Sam, and the three boys went on to new beginnings in Texas meeting all types of people and having new adventures. Farley taught me that peace and joy are possible despite even the most horrendous beginnings. One of the last memories we have of Farley is when he was sunning himself right next to glorious blooming roses with butterflies dancing around his head. It struck me that Farley had bloomed just like the roses and emerged just like the butterflies. God Speed, Farley. Thank you for the love. To read Farley’s original adoption story, click here.